La Gomera is the second smallest island in the Canaries with rugged mountains, valleys and tropical forests. Each side of the island has its own unique features, but one thing the eastern side has over the others is its very own Parador. The Parador La Gomera (Hotel Conde de La Gomera) is part of the Parador group. Once a manor house, it has been converted into a luxury four star hotel with lovely views of Tenerife and facilities include a seasonal swimming pool, subtropical garden, and restaurant. San Sebastian de La Gomera can also be found on the east side and is the island's capital. It was founded during the 15th century and is also known as Isla Colombina because of its links to Christopher Columbus. Columbus stopped at San Sebastian's port in 1492 to pick up provisions on route to the New World, and the Museo Casa de Colon is the house where he lodged during his stay. Nowadays the port has some of the finest facilities in all of the archipelago when it comes to water sport activities which include among others, diving, sailing, and fishing. San Sebastian has several interesting sites to explore such as the Church of La Asuncion and the Torre del Conde. 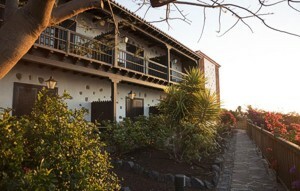 One of its main historical buildings is the House of Los Peraza which is situated at Pozo de la Aguada. If you enjoy outdoor pursuits, venture more inland as there are many hiking and cycling trails in the mountains. The Majona Nature Reserve and the National Park of Garajonay is also nearby. The Garajonay National Park is a World Heritage Site with stunning gorges and curious rock formations. At the top of Garajonay Peak you will get fabulous views of Tenerife and the Atlantic Ocean. If you decide to drive to other regions of the island begin with the north end. It is filled with beautiful valleys and mountains which once again are very popular with hikers. Hermigua is an attractive town situated between two high mountain ranges. It not only produces the island's largest banana harvest, but this is also where you will find the Monastery El Convento de Santo Domingo. For those interested in crafts, visit Los Talearres, an arts and crafts museum displaying all the tools used in days gone by such as looms and millwheels. Agulo is also in the north and is considered one of the island's most beautiful towns. 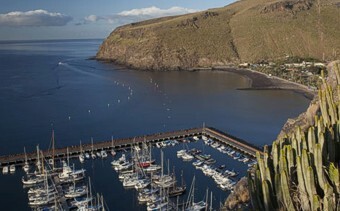 It sits high on a cliff above the sea, and was one of the first towns to be built on La Gomera. Filled with colonial buildings that line its winding streets, it is a wonderful place to spend an afternoon. On the west are more traditional villages such as Valle Gran Rey. This is a beach town full of cosy restaurants and wonderful sunsets. La Calera is also on this side of the island and worth a visit. This picturesque town seems to cascade down the side of the mountain slope, with whitewashed houses that contrast beautifully against the surrounding landscape. The southern region is where sunshine is guaranteed, and consequently the mountain sides are covered with lush vegetation. Here you will find lovely hamlets nestled in the ravines. The Canary Islands is an immensely popular holiday destination, and if you want to discover an island that is far from the maddening crowds, consider La Gomera. It not only offers history and natural beauty but it is ideal for those who enjoy outdoor activities, and one of the best times to visit is in January or October when the main festivals take place.